The defendants are unlikely to ever be prosecuted in an American courtroom since there's no extradition treaty with Iran. 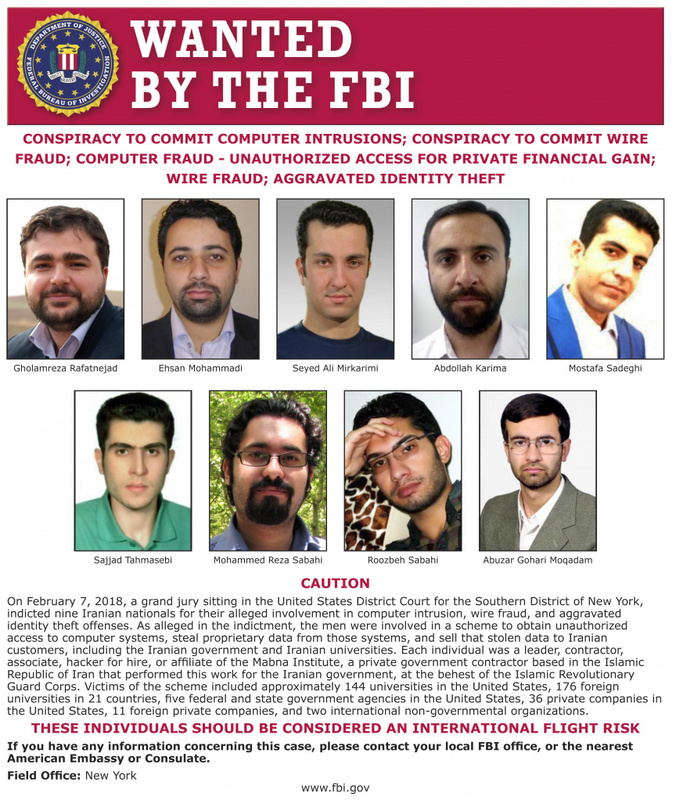 But the grand jury indictment, filed in federal court in Manhattan, is part of the government's "name and shame" strategy to publicly identify foreign hackers, block them from traveling without risk of arrest and put their countries on notice. The spear-phishing emails purported to be from professors at one university to those at another and contained what appeared to be authentic article links. But once clicked on, the links steered the professors to a malicious Internet domain that led them to believe they'd been logged out of their systems and that asked them to enter their log-in credentials.